October 18, 2017: inauguration of the XIX National Congress of the Chinese Communist Party. The Beijing authorities, among many themes, have decided to take stock of the protection of human rights in the country by issuing a publication entitled “The new achievements of China in the field of human rights (2012-2017)” to celebrate the progress achieved from China since the President Xi Jinping led the country. The text opens with this statement by the Foreign Minister, Wang Yi: “China has combined the universal human rights principles with the reality of China and has found a way that is adapted to its national conditions”. Wang Yi claims that in the past 5 years China has had more than 50 opportunities for human rights dialogue with more than 20 countries and avoided 2 times that other countries would interfere in its national affairs, protecting its public image. The Minister concludes that the achievements are strongly linked to the political system of China and that only Chinese people can judge the situation of human rights in the country, declaring: “the choice is of the people”. What are the “Chinese characteristics“? The choice and judgments of the people have never appeared on the web and the comments on the text of Wang Yi have been removed from the censorship. In recent years the government has continued to draft and implement a series of new national security laws that have empowered authorities to silence dissent, limit or censor information and prosecute human rights defenders. The latter, in fact, continue to be systematically subjected to surveillance, harassment, intimidation, arrest and detention on charges of “subversion of state power”, “incitement to subversion of state power” or “make arrangements to illegally cross the national border to third parties”. Their detention followed the government’s unprecedented repression of human rights lawyers and activists, which began in mid-2015 and during which at least two hundred and fifty of them were interrogated or detained by state security agents. The police have held back an increasing number of human rights defenders outside official detention facilities, sometimes without access to a lawyer for long periods of time, exposing them to the risk of torture and other ill-treatment. Booksellers, publishers, activists and journalists, who had disappeared in neighboring countries in 2015, reappeared in China in 2016, raising concerns about the operations of Chinese security agencies outside their jurisdiction. A book published by the government in September 2016 states that China strictly controls the death penalty and uses it with caution to ensure its application only to a very small number of extremely serious crimes. However, statistics on death penalty continue to be classified as a state secret, making it impossible to verify the number of death sentences and executions. After the police arrested at least 20 people in March 2016 for the publication of an open letter that criticized President Xi and asked for his resignation, on April 4, 2016, the government issued laws to increase the control of many “illegal” and unauthorized activities. These include publishing, film and television distribution, foreign satellite television programs, artistic performances and import and export of cultural products. On November 7, 2016, the law on computer security was approved, which aimed to protect personal data from hacking and theft, but forced to censor content, store user data at national level and implement a registration system with real names. Thousand of websites and social networking services have been blocked, including Facebook, Instagram, Twitter and Youtube. All this has further limited freedom of expression and confidentiality. The amendments proposed to the legislation on religious matters, made public on September 7, 2016, have extended to several authorities the power to monitor, control and sanction certain religious practices. These changes, which emphasized national security with the aim of curbing “infiltration and extremism”, are used to further repress the rights to freedom of religion and belief, especially for Tibetan Buddhists, Uighurs (Islamic ethnicity) and other non-recognized churches. During the year, the campaign, launched in 2013, was intensified to demolish churches and remove Christian crosses from buildings in Zhejiang province. According to international news organizations, more than 1,700 crosses were removed at the end of the year, triggering a series of protests. 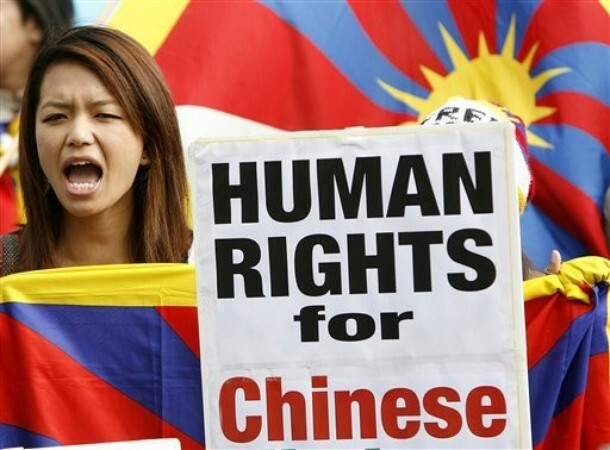 People of Tibetan ethnicity continue to suffer discrimination and limitations of their rights to freedom of religion and belief, expression, association and peaceful assembly. In July 2016, the government kicked off the demolition of much of Larung Gar, presumably the largest Tibetan Buddhist institution in the world, located in the Tibetan Autonomous Prefecture of Garzê, Sichuan Province. The Chinese local authorities have ordered the population of Larung Gar must be reduced to 5,000 people (less than half of the residents), in order to carry out an “adjustment and correction” operation. Thousand of monks, nuns and lay people were at risk of forced eviction. The government continues to arrest and detain Uighur ethnic writers and curators of Uyghur-language websites. In October 2016, media outlets reported that authorities in several Xuar (Xinjiang Uyghur Autonomous Region) locations would require all residents to hand over passports to the police. Subsequently, all residents of the Xuar would have to provide biometric data, such as samples of DNA and images of body scans, before obtaining permission to travel abroad. The measure was taken as part of a security crackdown and increased travel restrictions targeting ethnic Xuar minorities. The great achievements in human rights from China have Chinese characteristics to such an extent that they are not, rightly, perceived as such. Analyzing the human rights landscape in China in 2017, it can be said that the situation regarding freedom of expression, religion, assembly and association has remained unchanged since 2012.